I might be showing my age a little here, but I remember when microwaves first became a feature in nearly every home. If we’re honest, there was little in the way of finesse and their primary functions were generally to either heat things up (usually with a thermo-nuclear centre, if my Mum’s microwave “cooking” was anything to go by) or defrost the contents of that long-forgotten mystery-Tupperware, lodged in the back of the freezer since who knows when. Now though, you can genuinely have a kitchen where all cooking is done in a microwave – and not a soggy-bottomed pizza in sight! More and more homes are either being built or remodelled with a combination oven as the sole or main cooking appliance. 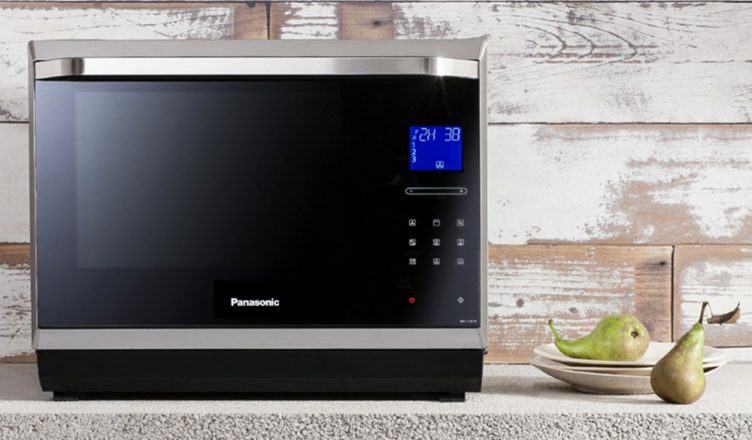 We’ve (fortunately) come a long way since microwavable chips; entire meals (that are delicious and nutritious) can be made in the combination microwave I tested out this week: the Panasonic NNCF853WBPQ. 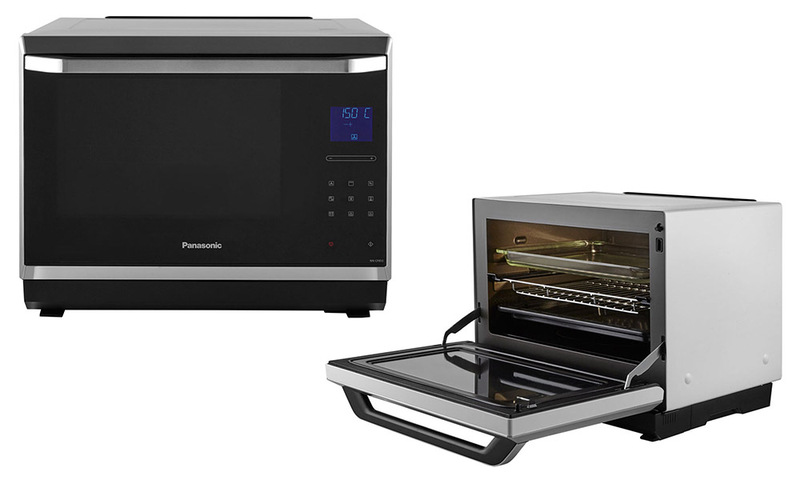 Read on to find out how one lucky reader will receive a fantastic Panasonic NNCF853WBPQ 32L 1000w combination microwave. The new NNCF853 is one of Panasonic’s most advanced combination microwave ovens yet! Combining convection, microwave power, grill, defrost, and with a new ‘turbo cook’ feature, you will save time – and space – in the kitchen. Panasonic have incorporated a built-in sensor to automatically select the optimum cooking time, taking the guesswork out of cooking. The Panasonic NNCF853WBPQ allows you to cook most of your favourite meals quickly and easily. The vast 32 litre cavity is big enough to accommodate the largest of meals. The clever flatbed design eliminates the need for a turntable, providing even more space in your cooking area (and dispensing with the need to argue over whose turn it is to clean the turntable.) Panasonic’s two level convection cooking allows you to cook on two levels simultaneously, more than enough to make even large families happier at the dinner table. One-touch cooking is a doddle, too, thanks to the 12 cooking programmes. Just like your smartphone, this combination microwave oven features an advanced electrostatic touch panel interface – simply swipe & touch for easy programming. The catalytic and non-stick lining means that a quick wipe over with a damp cloth is all you need to do to keep it clean. Cleaning made simple. The Panasonic NNCF853WBPQ 32L 1000w combination microwave is the new design icon for your kitchen. You can buy online, use our Click & Collect service to collect from your local store in as little as one hour or why not ask your local store about viewing our Panasonic range.